Bright and sunny good size first floor flat. Large bedroom, lounge, kitchen, bathroom with shower over bath, separate toilet. Double glazing, gas central heating, front garden , neutral decoration . Convenient location . Bright and sunny good size first floor flat. Large bedroom, lounge, kitchen, bathroom with shower over bath, separate toilet. Double glazing, gas central heating, front garden , neutral decoration . The property is conveniently located near the village shops and seafront and there is plenty of on road parking along with a bus stop close by. 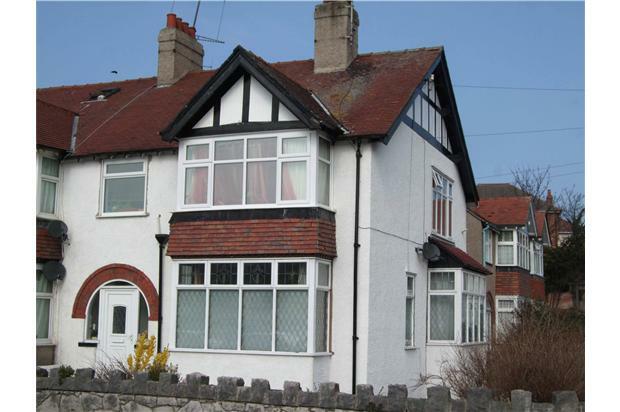 There are also easy links to the town of Colwyn Bay, Llandudno and the A55. There are views from the lounge and kitchen of the Cricket Club. Property is available from September 25th. Sorry no smokers or pets.